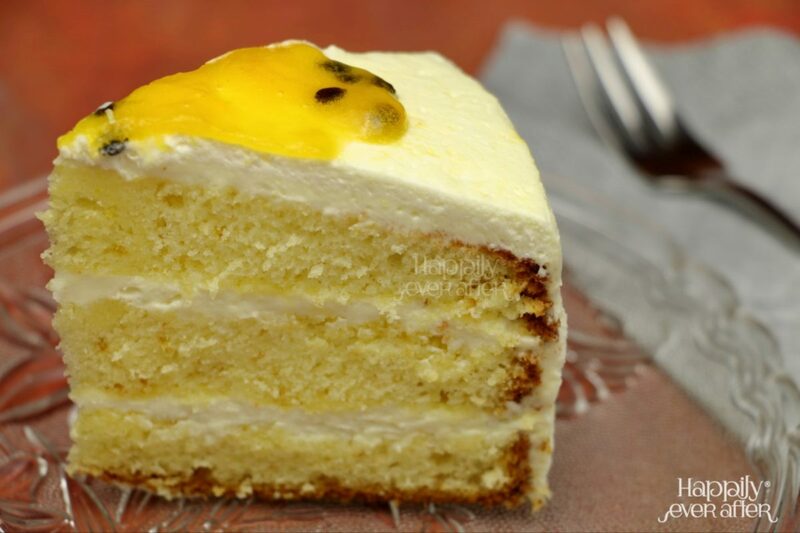 A soft and light chiffon cake baked with fresh Passion fruit puree, layered and topped with whipped White Chocolate Ganache. 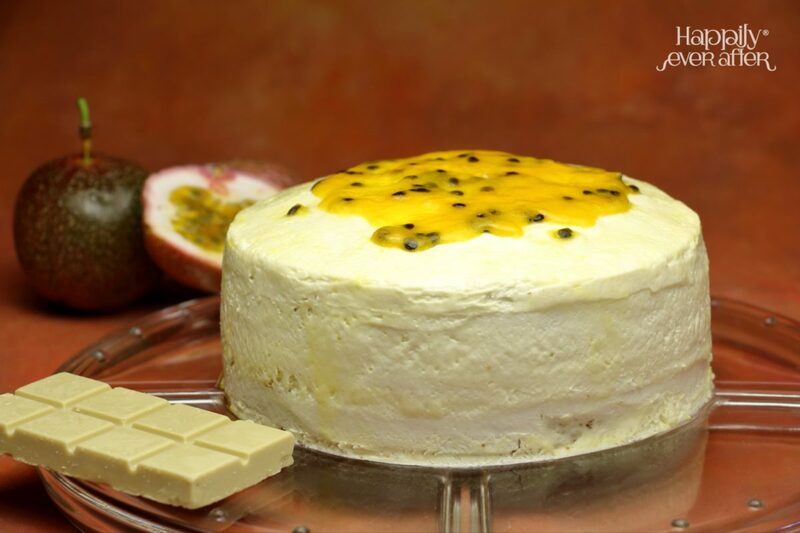 Our Passion fruit White Chocolate cake showcases a delicious combination of the slightly tangy Passion fruit and the subtle flavour of couverture White chocolate. 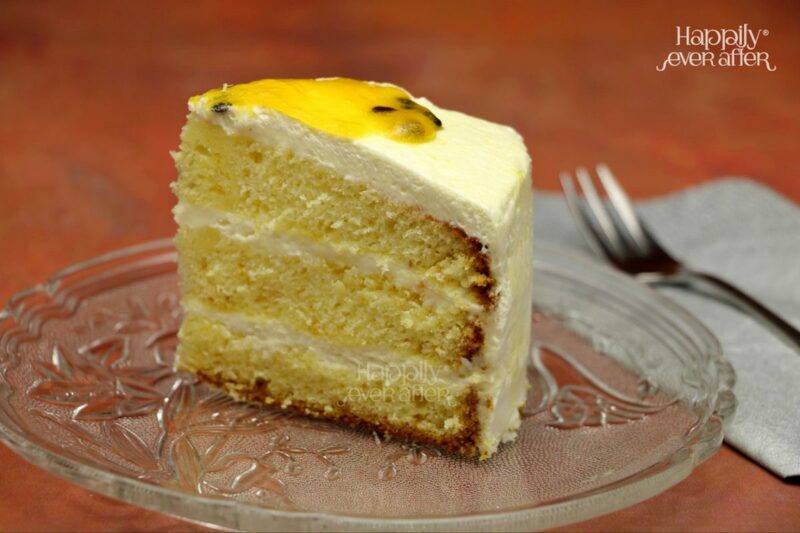 The Passion fruit White Chocolate cake is yet another original recipe of ours. 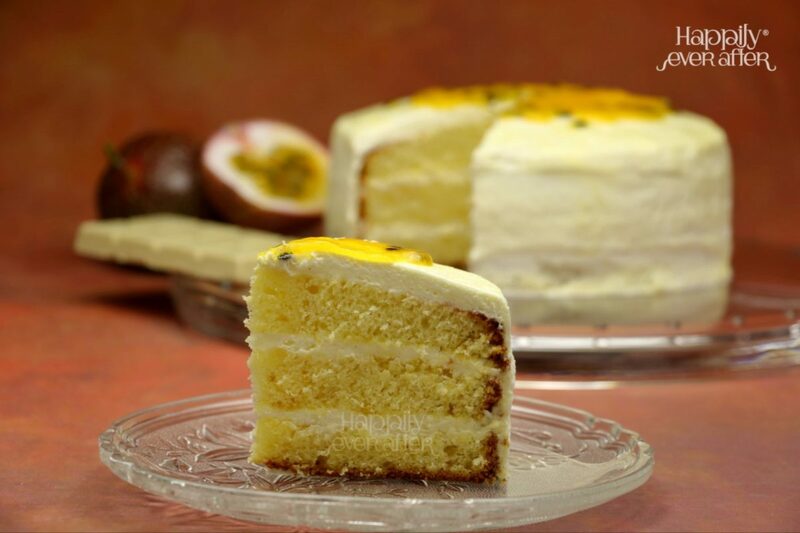 - Best quality seasonal Passion fruit. - Finest Couverture White Chocolate chips from Belgium.